Who doesn’t want a beautiful, youthful skin? 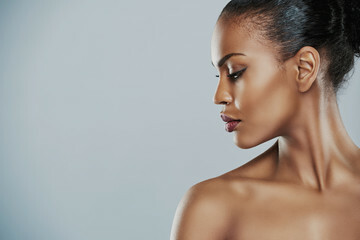 Everyone wants his or her skin to glow, but it is not easy to achieve that. People with different skin types encounter manifold skin problems. Skin infections, pimples, acnes, stress, the weather, and aging all have adverse effects on our skin. How do you get a great skin in spite of all this? 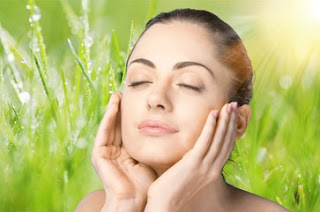 Expert dermatologists have stated should you aim to get a glowing skin naturally. In view of this, you’ll find out some effective ways you can get a healthy skin naturally. You must strive to make skincare a daily routine. And doing this naturally is very less expensive that surgery or other skin treatment methods. So let’s cut the chase, here are the natural ways to achieve a healthy skin. Your skin will inadvertently reflect what you eat. To get a healthy skin, you must get healthy foods or “skin friendly foods”. These foods contain the right vitamins and nutrients for get a glowing skin. Some examples are, proteinous foods like white meat and fish. 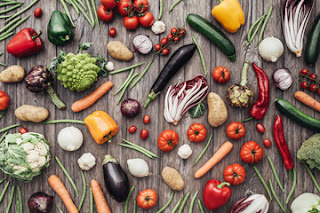 Grains like brown rice, vegetables like tomato and fruits like watermelon. Additionally, foods with high antioxidants are essential for a healthy skin. They combat inflammation, skin diseases and effects of aging. Such foods include, Purple grapes, organic green tea, blueberries etc. Vitamin C intake is also highly recommended. Exercise is a very healthy activity. It is very important you exercise if you want your skin to be radiant, why? First, exercising cleanses the skin from the inside. When you engage in exercise, you sweat and hereby remove harmful waste products and toxins from your body. It also increases blood and oxygen flow to the skin and hence give you a clear, fresh skin. Proper hydration of the skin should be done internally and externally. Drinking water helps you to be healthy and gives you skin a fresh, radiant and glowing look, because it flushes away all the toxins out of the body. It also prevents dehydration, which could make your skin look dull, flaky, saggy. Hydrating externally involves bathing twice daily and frequently washing the face. It is advisable to use cold water when washing the face. A very vital way to get a glowing skin is to protect it from the sun. The sun (from 7am to 9am) gives you vitamin D which is good. But high or frequent exposure to sunlight can be harmful for your skin and might even lead to skin cancer. How do you protect your skin from the sun? Make use of a sunscreen with the proper SPF. Wear light clothes which cover maximum parts of your skin. And lastly try to avoid exposure to the sun from 10am to 2pm, when the sunlight is very high. There are so many beauty and skincare products available today. However a lot of these product contain harmful chemicals. They cause irritation, and have side effects. So it is better to use natural skincare products. You can get such great natural skincare products at Radha Beauty products. Getting the proper amount of sleep will give you a beautiful skin. Sleeping beauty is a good example. If you rest and sleep well, you will avoid problems like eye bags, eye puffiness and dark circles. Your skin will glow and rejuvenate itself when the body gets rest and quality sleep. Stress is bad for your skin. But in the hectic world we live in, stress is part of our lives and cannot be avoided, so we must learn to manage stress. Allowing stress to overwhelm you will affect your skin in a bad way. Engage in stress relieving activities like yoga, meditation and enjoying your hobbies. There some things we do which damage our skin, smoking is one of them. Smoking damages the skin by reducing blood circulation in the facial capillaries and elasticity of the collagen. Another one is not frequently washing or changing your pillow cases. Pillow cases contain lot of dirt and oil from your face and hair. Frequently changing it will help you avoid getting skin infections. Doing all these will help you avoid getting acne. When there is excessive accumulation of toxins and waste products in the body, the skin starts looking bad. It becomes dull, pimples and acne are often caused by this. Hence it is very important to detox your body and flush out these harmful toxins. There so many easy ways you can detox your body. Makeup is an important part of a woman’s beauty regimen, and most women wear makeup everyday. However you never go to bed with your make up on, why? Leaving your make up on your face for a long time will attract dirt and clog the skin pores which in turn causes pimples, dark patches, acne and yeast growth. So, no matter how tired you are, you must never sleep with your makeup, remove it with a makeup remover before sleeping. There is obviously no fountain or elixir of youth. But you can maintain a youthful, radiant skin by applying these skincare tips.